Since today is Halloween, I figured I would jump way ahead in my Sets In my Collection series and highlight a set that fits right in to today's theme. 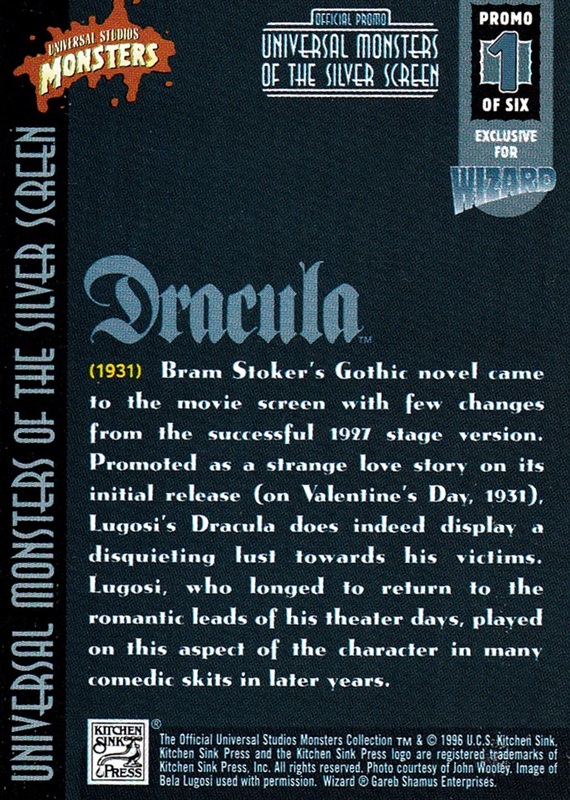 From 1996 comes the Universal Monsters set. 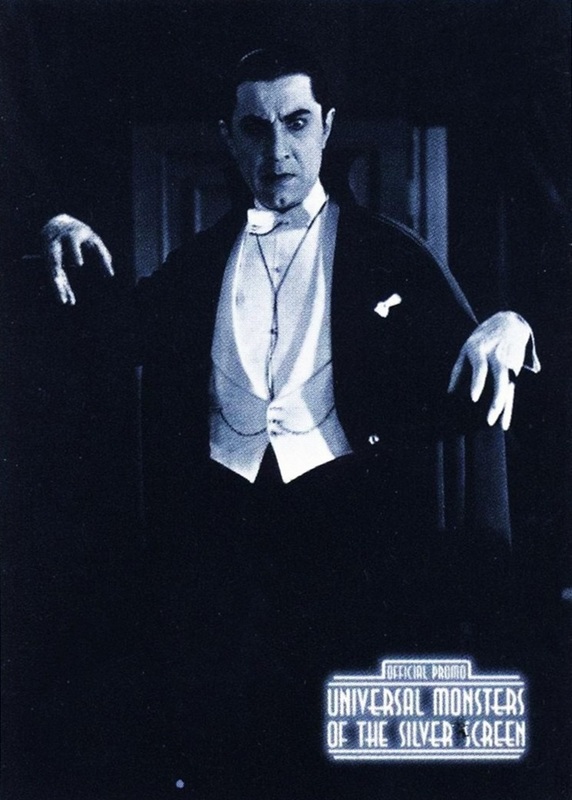 I don't know how many cards were in the set, the only one in my collection is this Dracula Promo which was inserted into Wizard Magazine. The new NBA season is here, as the first card release has hit and my mom gave me a box of it as a late birthday present- really made me happy! Originally it was scheduled to come out on the 14th, but they pushed it back to the 21st. She got the box to me on the 22nd. I really like the Hoops brand- it's always my favorite set of the season, mostly due to the fact that it includes the most players, although it still ignores at least 100. 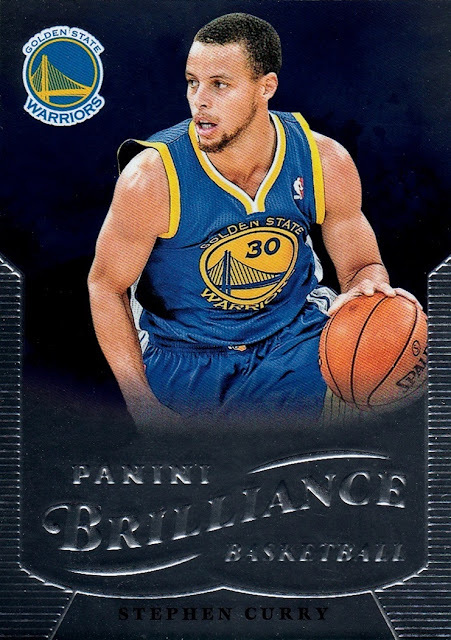 For some reason Panini refuses to make any sets larger than 300 cards. This is my only real complaint about the set, which otherwise is perfect. The design this year is nice, it features a white border but not the traditional border shape. It sure makes it easy to scan them, which I like- I scanned my entire box in 3 days worth of effort. (I wanted to get it fully scanned before I posted about it). A couple of oddities about the set- a large portion of the cards were taken with the Cavaliers as the opponent. I didn't do any math on it, and indeed I don't have all the cards, but it seems like about 1/3rd of them have the Cavs in the background. Another thing to note, not necessarily an oddity, is that a lot of images are taken looking up at the players- clearly from the photographers you see sitting along the baseline at every game. That isn't a bad thing although it does give some unexpected angles- and some interesting shots of the arena you don't see too often, which I will show below. Photography as a whole is excellent. Parallels are much harder to get this year, which is a shame as they look better than ever. I got only 1 Green, 3 Gold, 4 Red Back, 2 Silver and 1 Artist Proof. The Green and Gold are my favorites, the Red Back is kind of pointless- I would really rather they got rid of them and gave us more Gold and/or Green. Blue and Red are retail exclusive, and Black are 1/1 so I did not get any of those. They are packed 13 cards per pack, but marked 12 as they apparently don't count the one-per-pack Panini Dunk info card. They were the only duplicates to be found in the entire box, which is a nice thing. 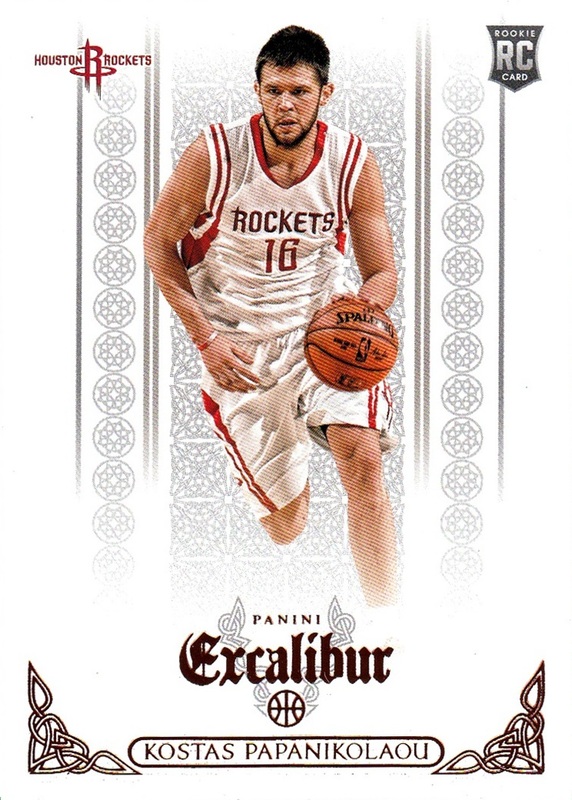 Panini doesn't really have a good track record of not giving you multiple duplicates in a box but this is the second year in a row for Hoops where that was the case. 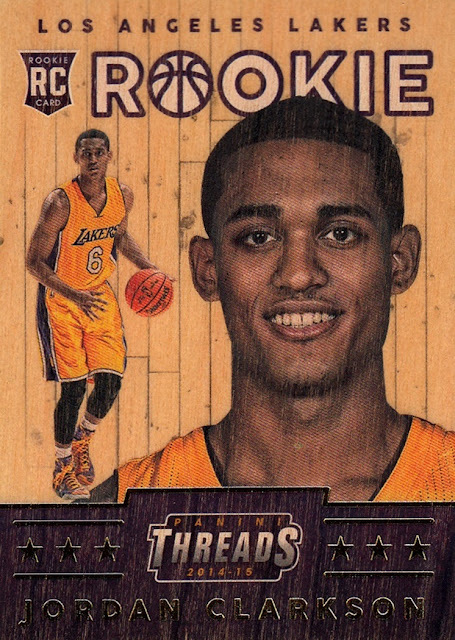 In each pack you get one Rookie and one non-base card, which is either a parallel or an insert. 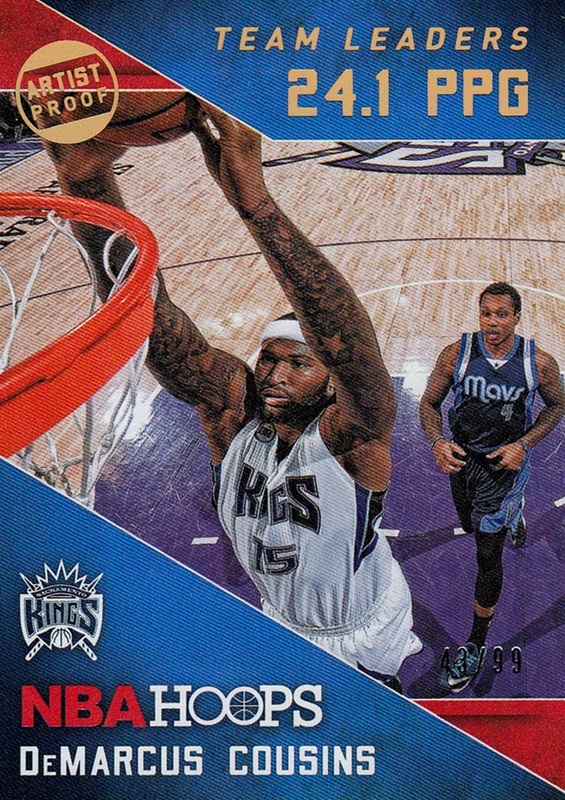 You get two autographs in each hobby box of Hoops on average. Relics appear to be retail exclusive. My first autograph out of the box...was this one! This is a card I could not afford to buy as a single had I not pulled it! Wiggins is considered the best talent to come into the NBA since LeBron James, and he is the defending Rookie of the Year (Not that you can really win that again). The T-Wolves have a bright future with him, Karl-Anthony Towns (who, despite being on the packaging, I did not get a single card of) and others, although it's expected that they will not do all that well in 2015-16, a couple of years down the road, they are expected to be contenders. 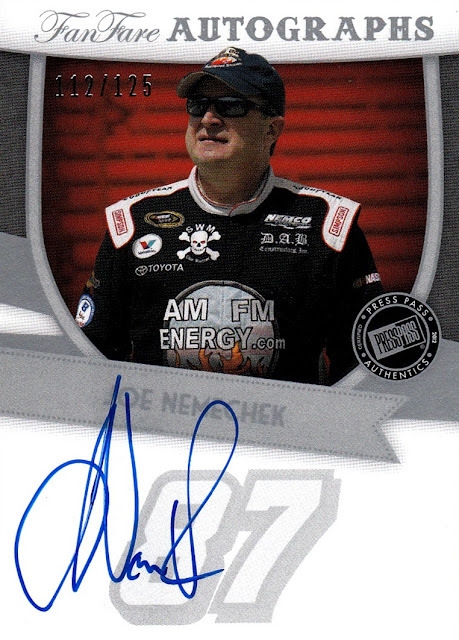 I was pretty shocked when I got this one- autographs come out of the packs backwards, and when I realized it was an autograph, I closed my eyes so I wouldn't see who it was until I turned it over- and what I shock I got! 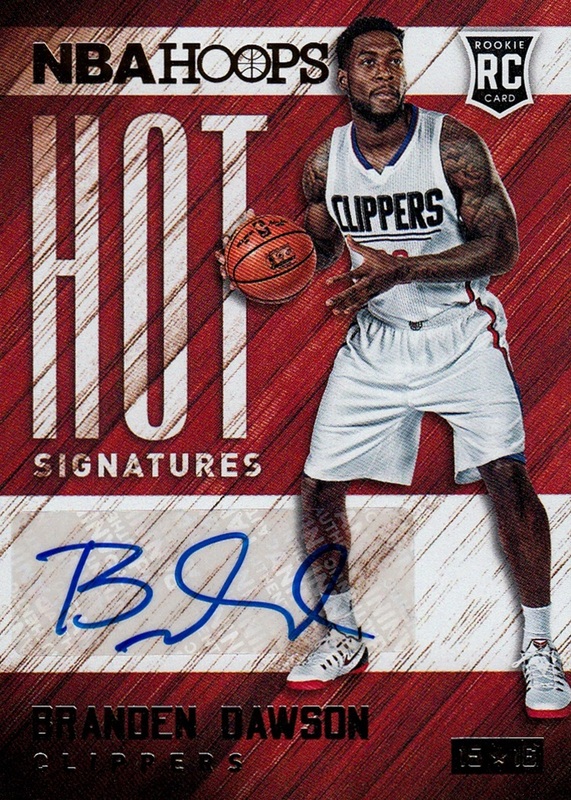 My other autograph came out of the very last pack I opened- and it was the first card I have of Branden Dawson, a rookie of the Clippers, who did not get a card in the base set. 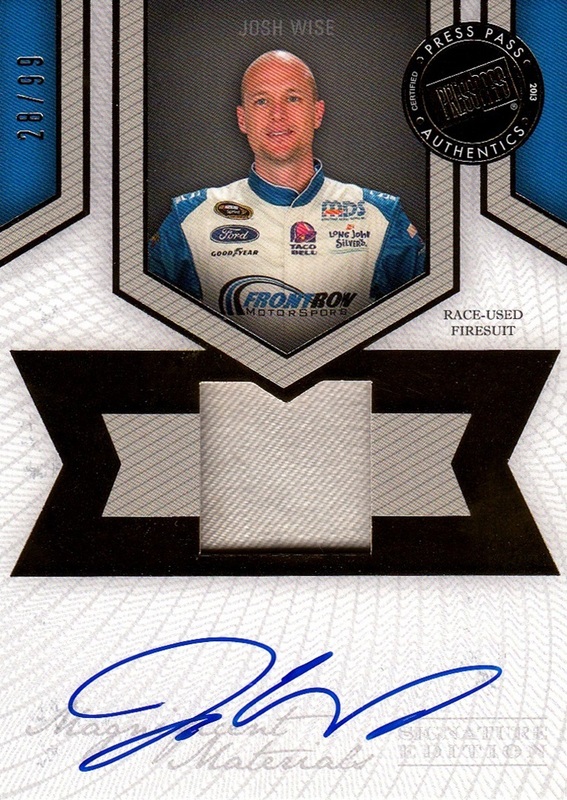 He is one of several rookies who are included in the autograph checklists but not in the base set. Now, here's a look at some base cards. 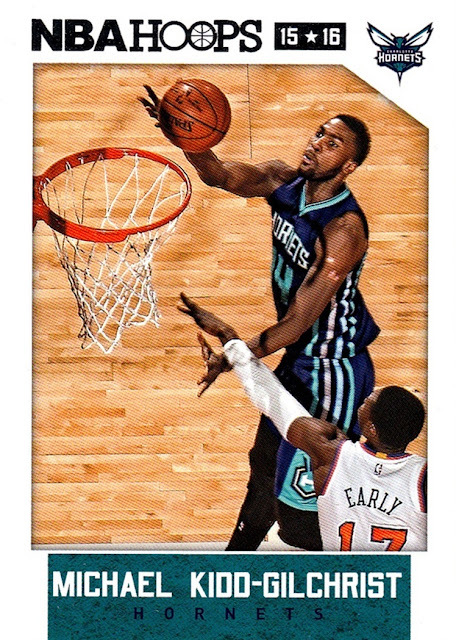 #244, Michael Kidd-Gilchrist, was the first card out of the box. It's the only one I noticed that the photo is slightly blurry on- an issue Panini has had sometimes- this year's set is an improvement. #4- Langston Galloway. He joined the Knicks on a 10-day contract last season and ended up earning a starting spot before the end of the 10-day contract, something I can't recall ever happening before. This is my first card of him. 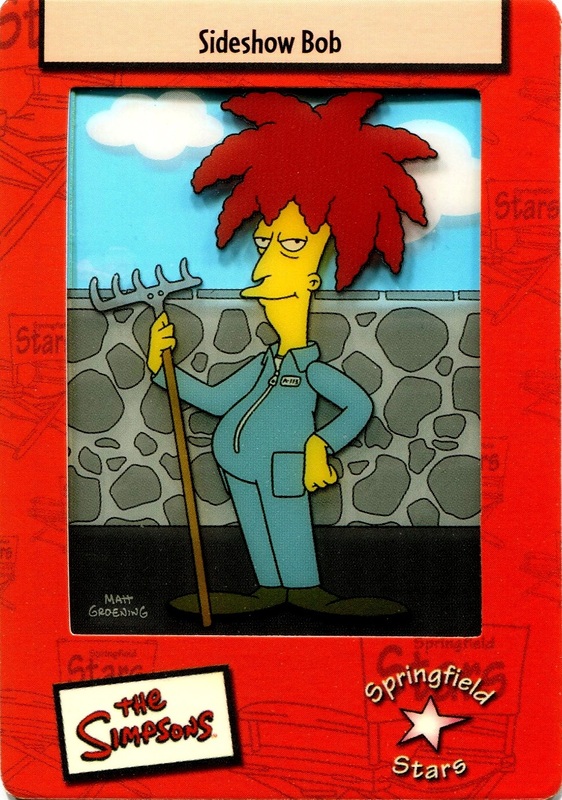 #88 Sideshow Bob, I mean, Robin Lopez. Seriously, he's got a Sideshow Bob thing going on here. Am I right? #233 Wesley Johnson. 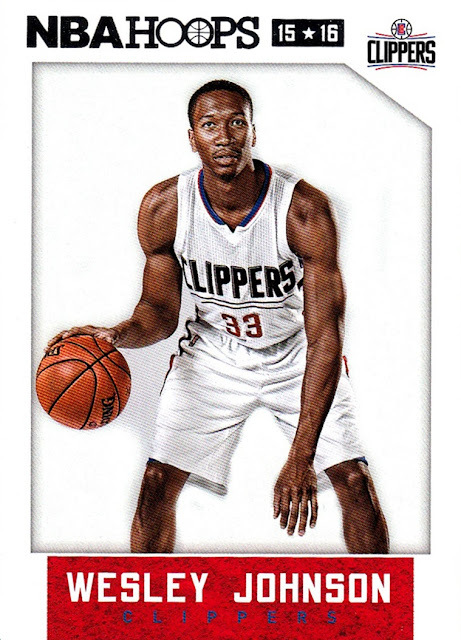 The new Clippers uniform makes it's debut. 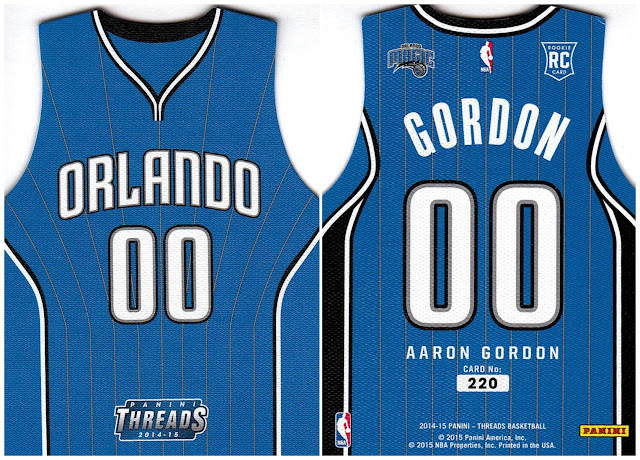 The home jersey, shown, is not bad, but the road jersey is the worst in NBA history. 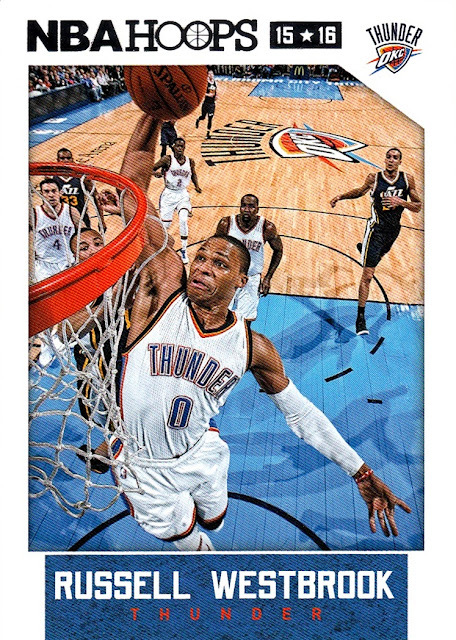 #148 Russell Westbrook. Some of the photography in this set is really from interesting angles, like this one. 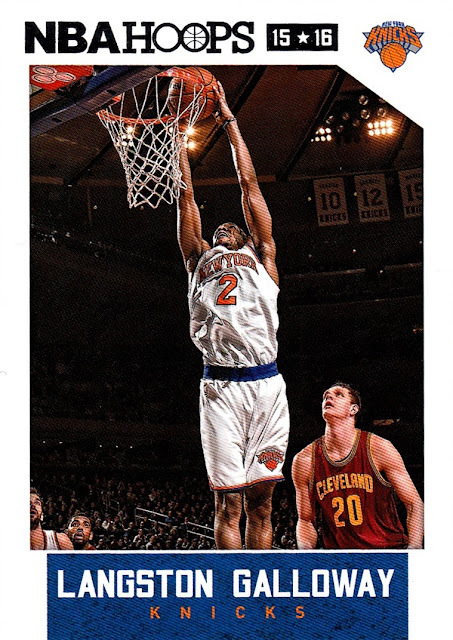 This is probably my favorite Westbrook card in my collection now. 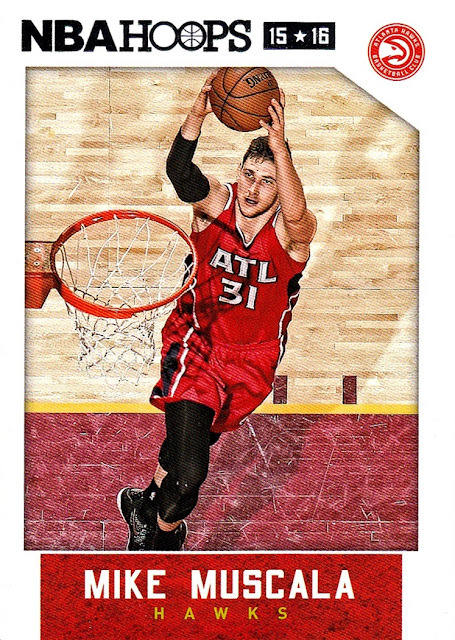 #16 Mike Muscala. 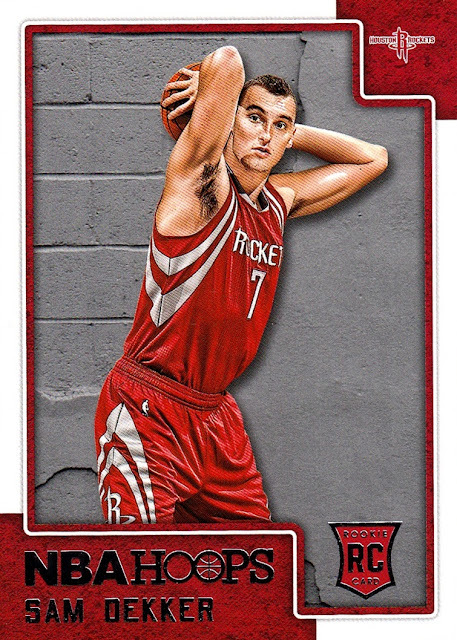 His third year in the NBA, but my first card of him. 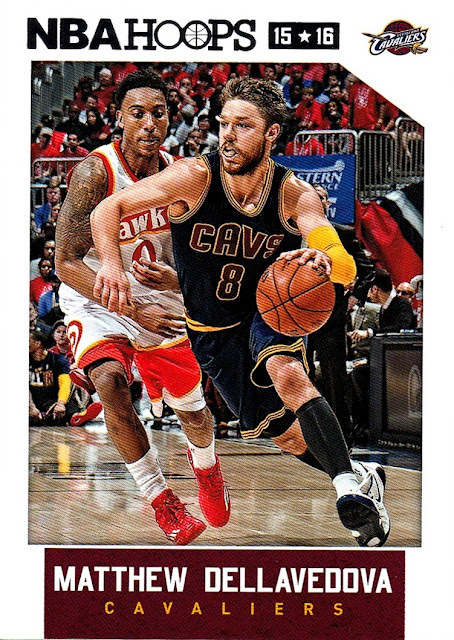 #204- Dellavedova played his way into the card set during the finals for sure, after Kyrie Irving went down with a broken knee. 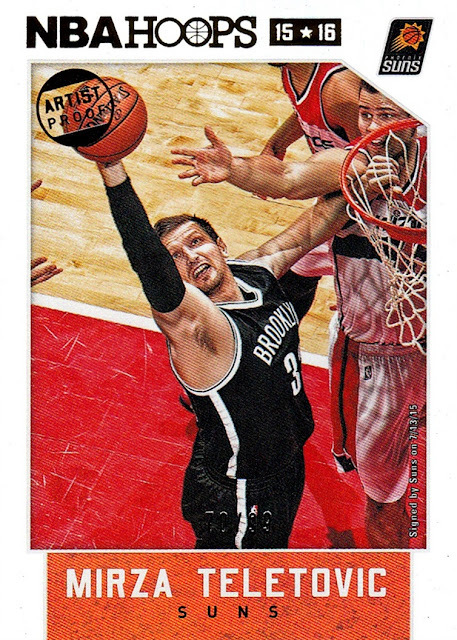 He was not included in 2014-15 sets. 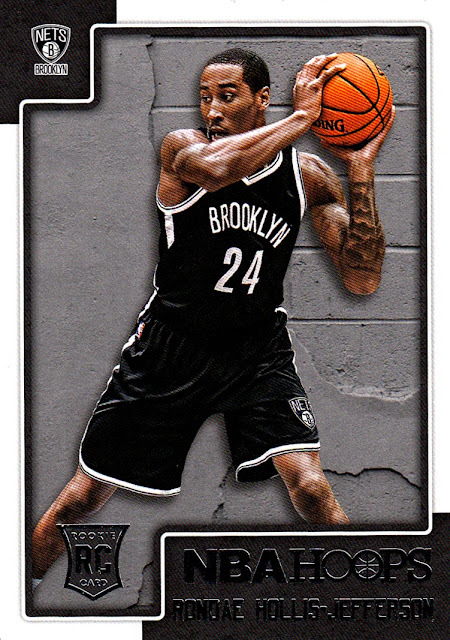 #299 Rondae Hollis-Jefferson, my first rookie of the season. 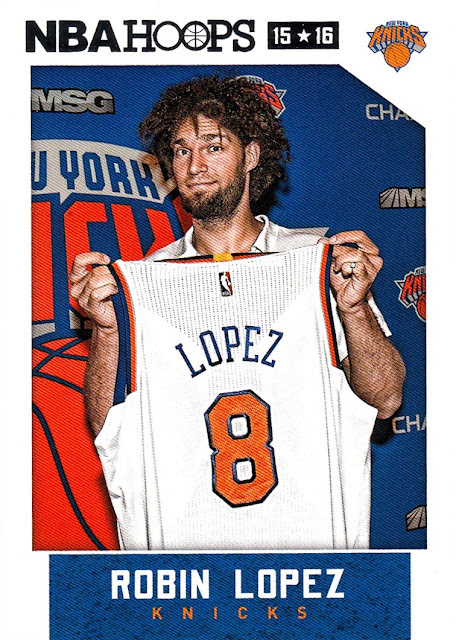 How cool that it is a player for my long-time favorite team? #294 Emmanuel Mudiay. 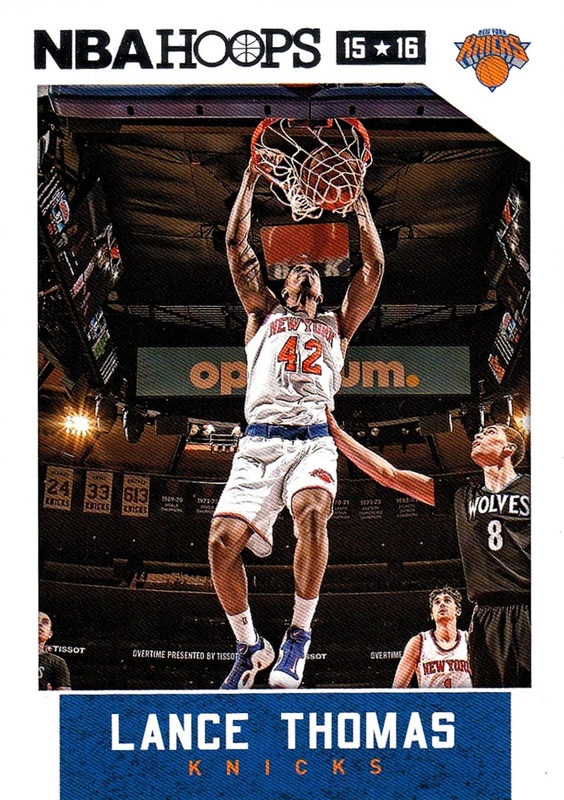 I expect he will be Rookie of the Year this year, although there are several that have a real good shot. 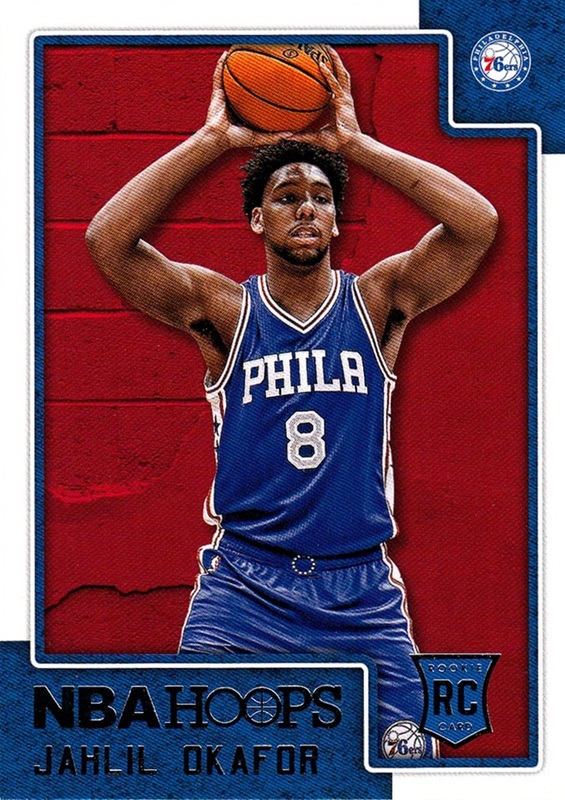 Like this guy, Jahlil Okafor, card #280. 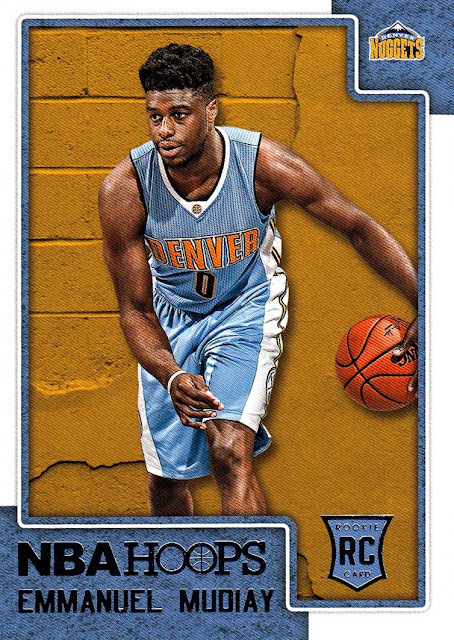 Note that both the Nuggets and the 76ers have new jerseys this season, making their card debut on the rookies. Also with new jerseys this year are the Clippers, as previously noted, the Hawks, Bucks, and I think I'm forgetting one or maybe even two. #296 Sam Dekker. 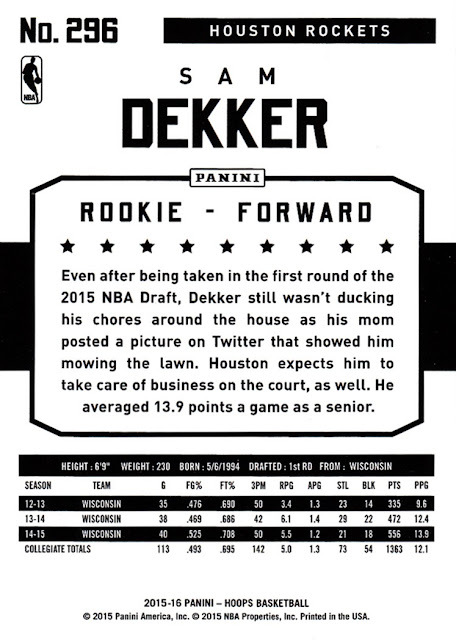 Who, apparently, is going to be known mostly for the photo of him mowing the lawn shirtless that his mom posted on Twitter after the draft- it's what the text is about on the back of the card! Speaking of, the backs of the cards are the same for both veterans and rookies. 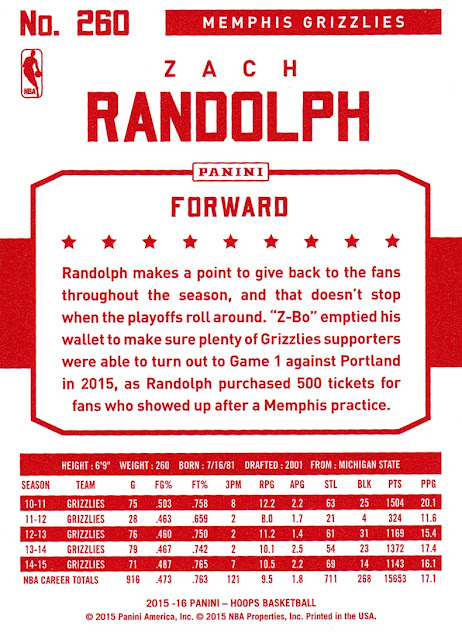 Unlike previous years of Panini's stewardship of Hoops, they don't include full stats, only going back to 2010-11 for veterans. That's disappointing, but not enough to change my enjoyment of the set. The back is totally black and white, which makes it really easy to scan, something I appreciate. The text and name are huge, while the stats are tiny- I noticed after spending three days scanning these and nothing but these, they were actually starting to give me a headache, trying to read the tiny stats. They are easier to read in hand than in scan, which doesn't make any sense as the scan is larger. Go figure, right? Now, let's move onto the parallels and inserts, beginning with the parallels. First up, most common, is the Red Back. The front of the cards are the exact same as the base cards, but instead of being black and white, the backs are red and white. These really don't need to exist. Or at least make the foil on the card front red or something. Serially number them, or make them interesting...otherwise, meh. I pulled 4 of them from my box, and they are Hobby exclusive, I believe- this is the 3rd year they have done them, and the last two years were Hobby Exclusive, so I expect they are again this year. I pulled three Gold parallels from the box. They are spectacular, but they don't scan well. 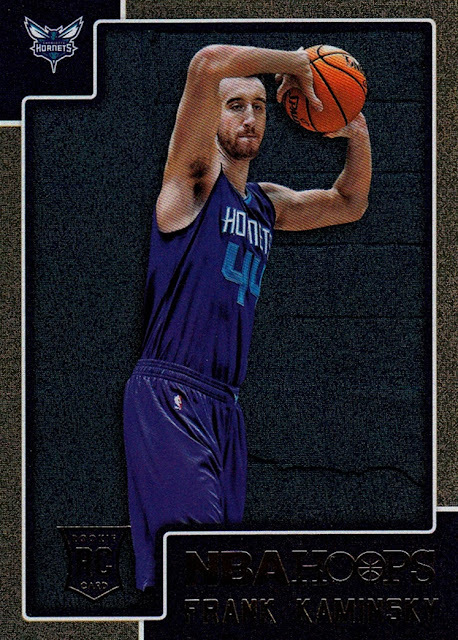 #281 Frank Kaminsky. They are really nice in person, the scan just does not do it justice. Yes, it's important enough to say twice. I am going to be chasing these gold cards for years. 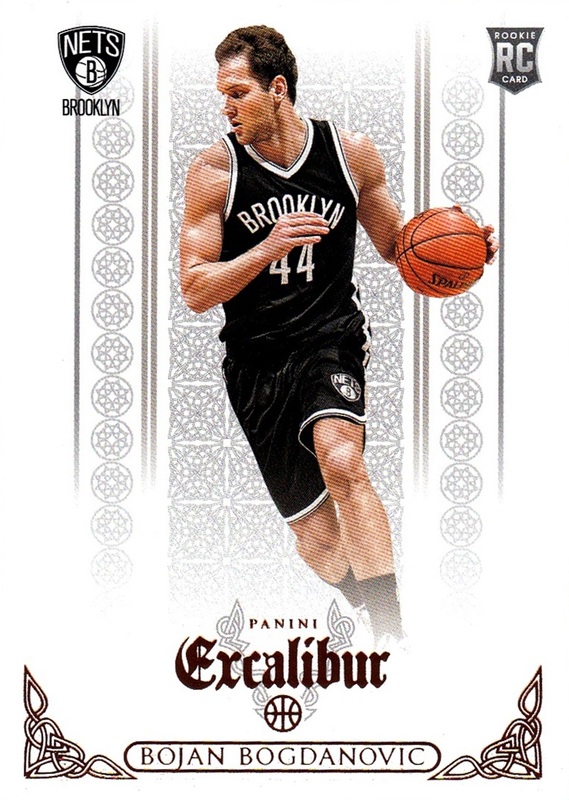 This was the only Kaminsky card I pulled. 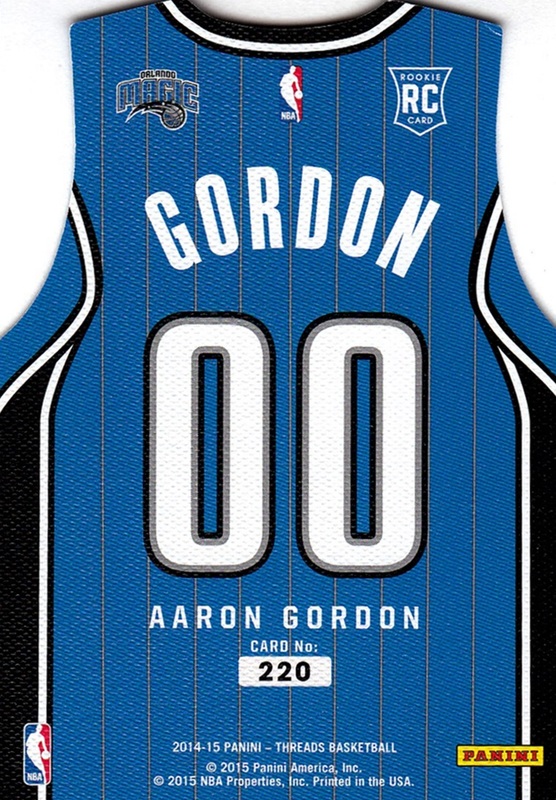 The Silver parallels are serially numbered to 299, which is right center in the bottom of the picture. They are actually holofoil, but my scanner picks them up as white. They also look better in person. I pulled two of these from my box. Oddly enough, I pulled Dwyane Wade's silver card from both 2014-15 and 2015-16 Hoops. I didn't do a hobby box of 2013-14 or earlier. Serially numbered to 99, Artist Proof is the second-hardest parallel to pull, only to the Artist Proof Black which is 1/1, which I did not get. They are also on holofoil, and look pretty much just like the Silver with the exception of the gold foil Hoops 15-16 logo and Artist Proof stamp. 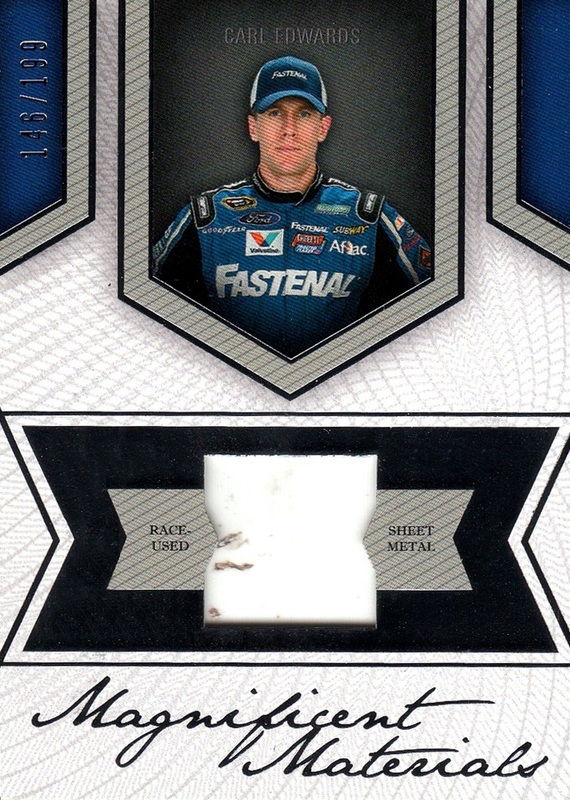 It's hard to see, but this card is SN70/99. The / between the numbers is just barely on the stripe on his pants. Also falling one per box, is the green parallel. These are really great- I can't decide if the Green or Gold is my favorite. These are 1-per-box, but I wish they were easier to get. I will be chasing these for years as well. Neither Green or Gold are serially numbered. Each of the square designs refracts light at a different pace, I guess would be the best way to describe it. Seeing these in person is so much better than scans. Now, the inserts. New this year is that most of the inserts are printed on foil board. My scanner makes foil board light up and look white, but they are really nice looking in person. 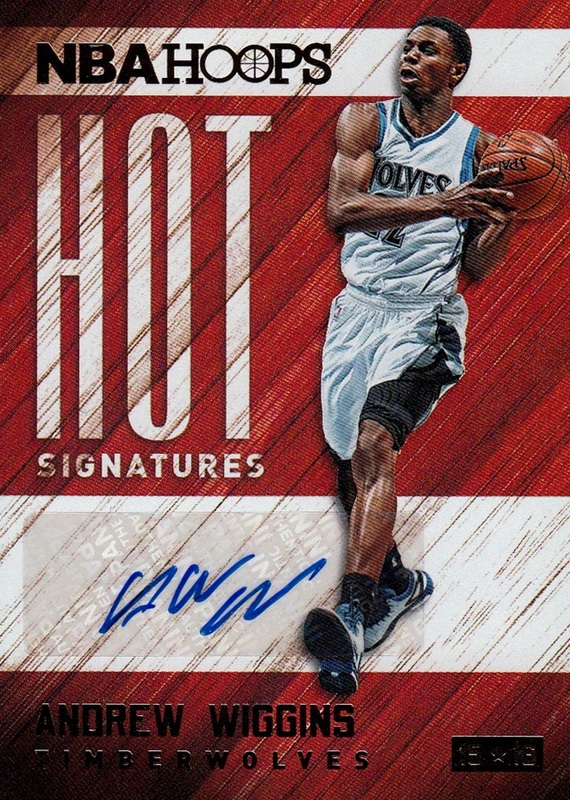 I showed the Wiggins autograph above, but here is the Dawson one. There are two autographs per box, and also there is a parallel numbered to 25, which I did not pull this year- I pulled one last year. As of right now, this and the SN25 Red Hot Signatures parallel are the only cards in existence for him. Road to the Finals is a great insert. 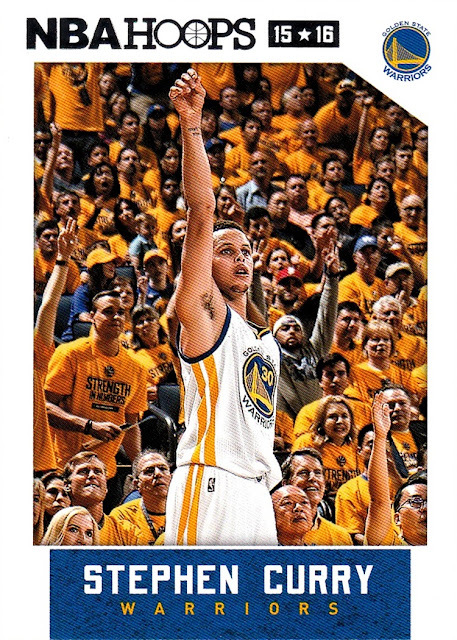 A 100 card set, every game of the Playoffs gets a card, and most of the Champion Warriors, including Steve Kerr, get a card. (Surprisingly, Festus Ezeli was totally ignored by the set- even the Champion subset of this insert!) I pulled 4 cards from this insert, including one of the second round cards which is SN999. The first round is SN2015, going down to the Finals cards which are SN99. I actually pulled this one from my very first pack of the set. 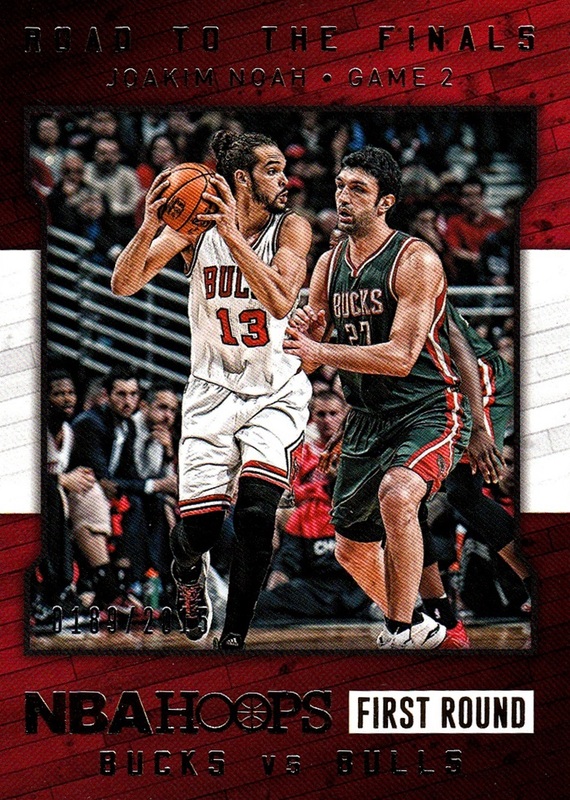 Zaza Pachulia, seen guarding Noah here, is not included in the set. 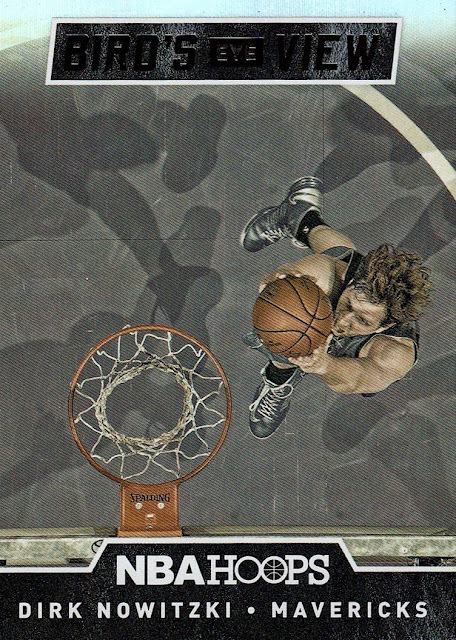 He's now with the Mavericks. This insert concept debuted last year and I really like it. The hardest insert to find falls at one in every 480 packs, and that is Kobe's All-Rookie Team. I managed to pull one! It happened to be my first card of Trey Lyles as well. In this card, the only holofoil is his name and the Hoops logo/team bar. The Team Leaders subset highlights a player from each team who led that team in some statistical category. I happened to pull an Artist Proof parallel as well, SN43/99. this came out of my second pack. A cool new concept this year is the Triple-Double insert. 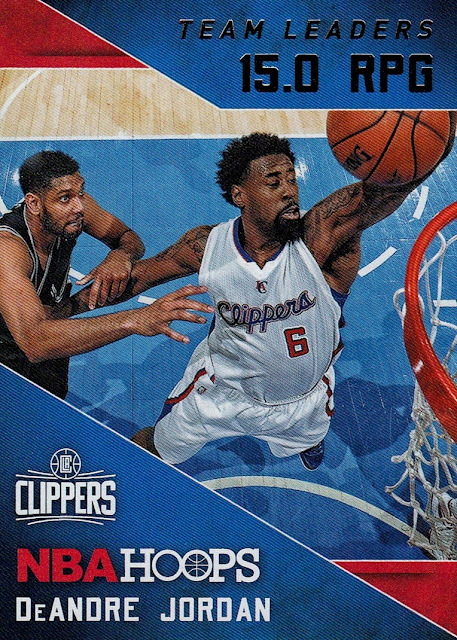 Every single Triple-Double during the 2014-15 season gets a card, which leads to an unusual 46 card insert set. (Playoffs not included). I like the fact that they actually issued it to the team the player was with at the time, not where the player is now. 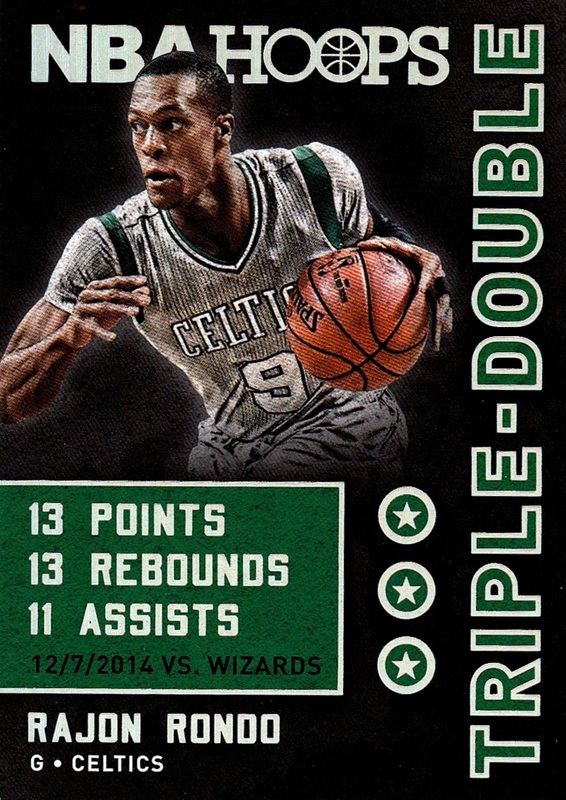 Rondo was traded to the Mavericks during last season and now is a member of the Kings, but he put up his Triple Doubles as a member of the Celtics. Panini really did a good job with this insert- unfortunately, it's also one-per-box. This is also the only card in my collection showing the Celtics' sleeved alternate jersey, I believe. 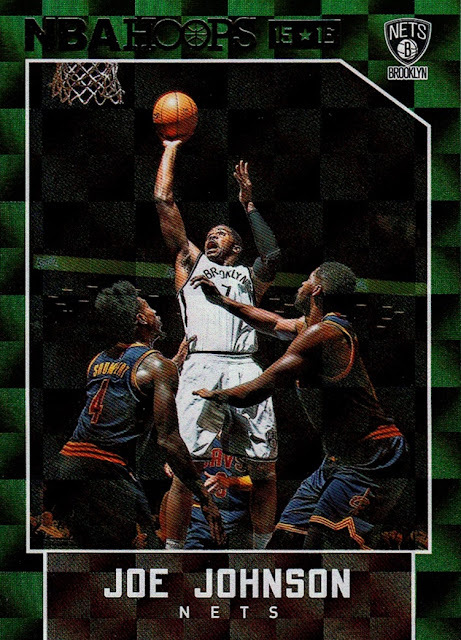 Bird's Eye View moves from the apparently defunct Panini Flagship over to Hoops, and expands from 10 to 25 cards, all on holofoil. 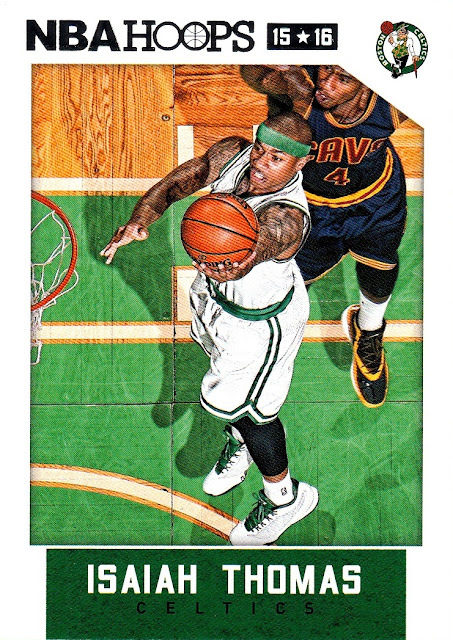 I really liked the Bird's Eye View insert in 2013-14 Panini, and I'm glad it's back. I pulled two of them. Dreams is a 10-card insert showing Rookies. It is printed on holofoil, and once again, I pulled only one of them. 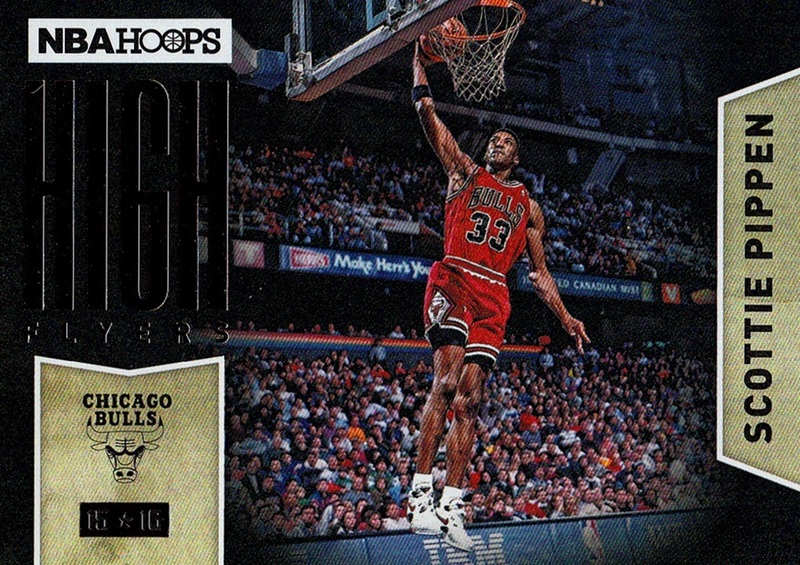 High Flyers is another holofoil insert and includes retired players as well as current players- obviously, as this image of Scottie Pippen dates to roughly 1997. And finally, the one-per-pack Panini Dunk card. As I don't have a smart phone, these aren't too helpful to me. They were, however, the only duplicates, of which I am quite happy. Overall, I rate this set very highly. I ended up with 262 of the 300 base cards, and I like the set enough that I will be chasing some retail versions of the set-hopefully I will be able to get some of the retail exclusive inserts and parallels, and finish off the base set. Relic cards are retail exclusive, aside from the Blue and Red parallels. 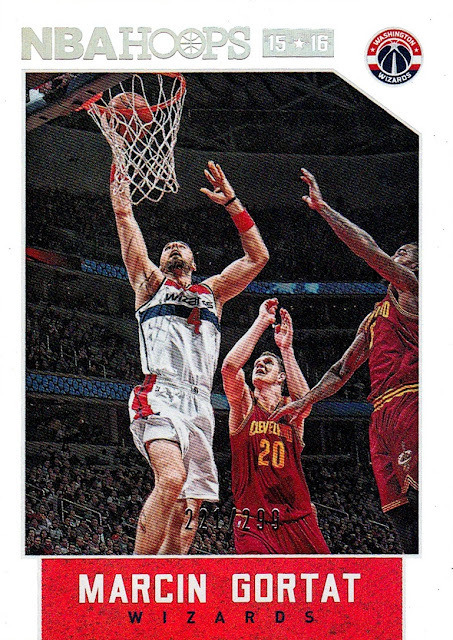 Sometimes Panini makes the rookie cards less short printed in retail as well...time will tell. I am sure a future Hot off the Scanner Tray post will have some updates, unless I decide to give the eventual retail purchase it's own post. My only real complaint is that so many players are ignored. If every team carried only 14 players, which is the norm- there are 420 players in the league at one time. If every team carried 15, as is the NBA allowed maximum, there are 450. For some reason Panini won't go over 300 which is very frustrating to me; there are players who have not gotten cards in years. They are also hurting their bottom line, because if the set was larger with more players I would be willing to buy more than one box in the attempt to get said cards of other players. Just one set a year- the flagship, this one-should cover every player in the NBA. It's all I'm asking. I have been trying to talk them into a series 2, but they ignore me. I'm not going to stop trying. If you want to see all of the cards I got, I have an album created specifically for the box break on my Website. 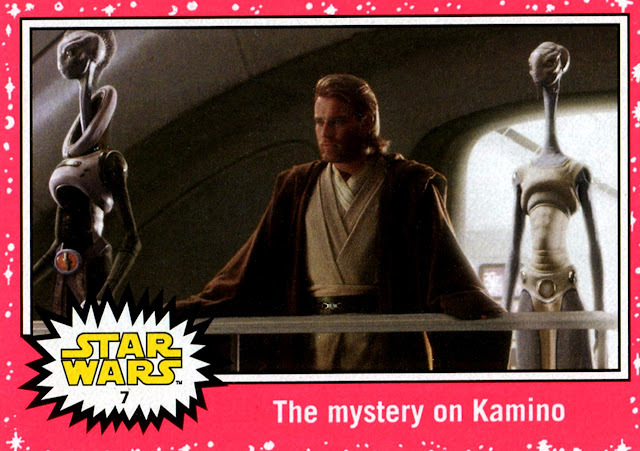 I mentioned opening some of the Journey to the Force Awakens cards in my birthday post, but I hadn't scanned them to post in the Birthday post. I scanned them shortly afterwords. I got my first Neon parallel....I was not able to capture how very bright it is in hand! On the subject of 2012-13 Panini Brilliance, that is a set that I really don't care much for. I'm not a fan of mirror foil and that's what the entire set is made from. To put in perspective how little I like the set, I got a box of it on sale in February 2014...and I STILL have not finished scanning it! I determined that there were 16 cards I had from the set not yet on the Database, so I finally scanned them on 10/20/15. I filled the other two slots on the pages with cards I got for my birthday so at least a couple of them will be represented in the album in a timely fashion (IE, this decade). Not a new card, it's one of those that have been waiting since 2/14/14 to get scanned. And this is my favorite player currently in the League! 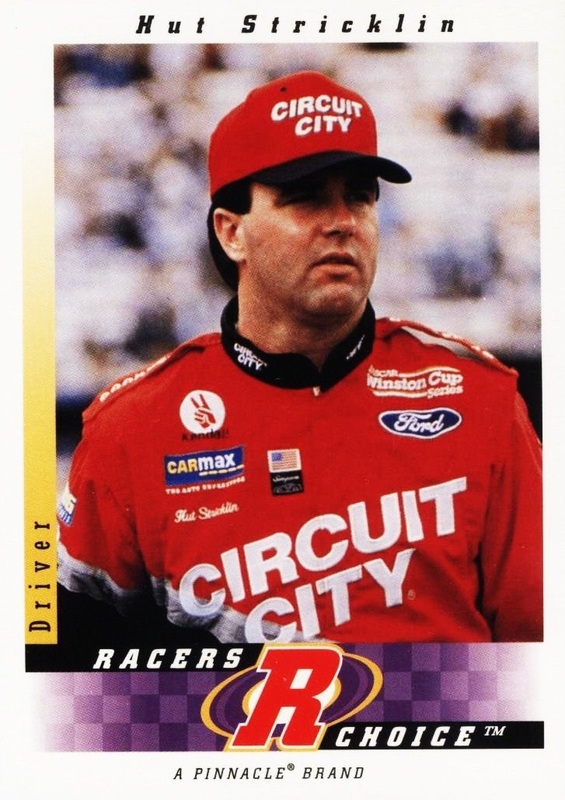 1996-97 Stadium Club is a favorite set of mine, and this is the most innovative insert from that set. Each card was die cut so that, in theory, if you had both from each team you could connect them to show the location and the team name. I don't have either card for any of the teams included so I don't know for sure if it actually works. It is kind of a slow HOST this week, but for good reason. The first couple days of the week, I was working on transferring (copying, actually) all my files from nearly 2 dozen flash drives to my external hard drive...this meant I had to unplug my scanner to plug in each flash drive. I really love the new drive, for the first time ever I am able to have access to all my files at once- mostly photos (Including scans) but also Excel and Word files and also videos. I forgot to write down a couple of the flash drives but the ones I did write down totaled over 230,000 files! 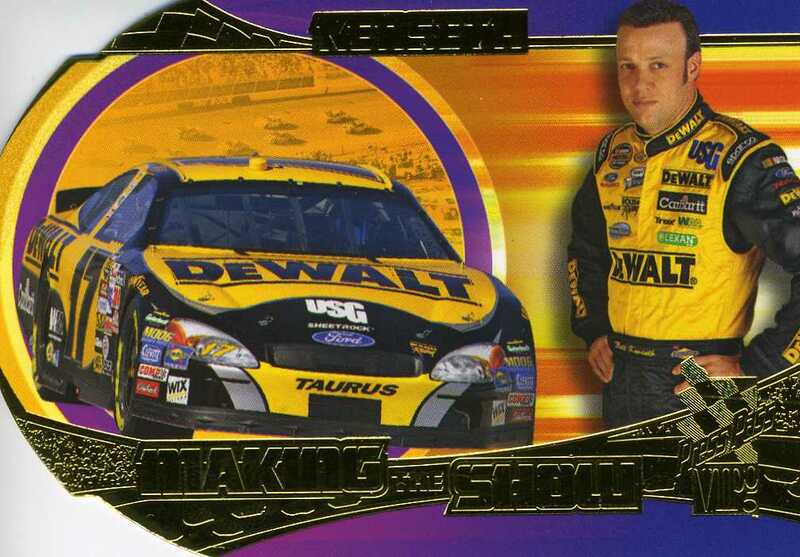 While I was doing that, I prepped some of the previously scanned NASCAR cards. I scanned my entire collection from 2009-12 but I did a really poor job of it. Pretty much all of them need to be worked on, nearly 1/3rd need to be outright replaced. I don't enjoy the correction work so I don't do it often. I prepped two 1997 sets while I was doing the Drive work, Skybox ProFile and Racer's Choice. I see in posting it to the blog that I need to make another correction on both of these cards. Even when I think I am done I still see something wrong many times. Can you spot what needs fixing? 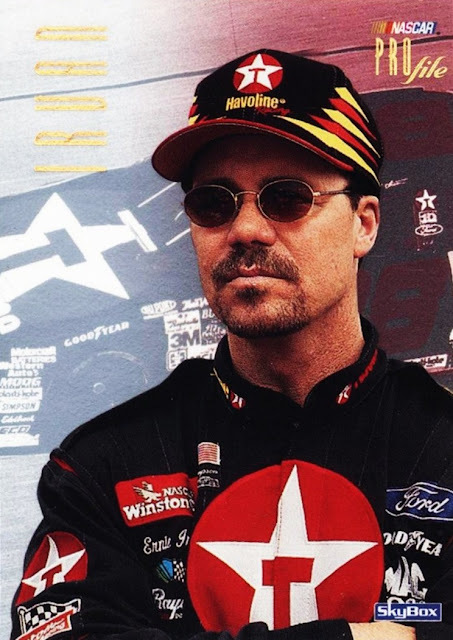 On the Racer's Choice Hut Stricklin, there's some scanner scuzz in the large red R of Racer's Choice, and for the Ernie Irvan card from Pro File, there is some scanner scuzz on his sleeve at the very bottom of the card. The other reason I didn't do a lot for this post this week, is that on the 22nd Mom surprised me with a late birthday present- a box of 2015-16 Hoops - which will get it's own post in the next day or two. 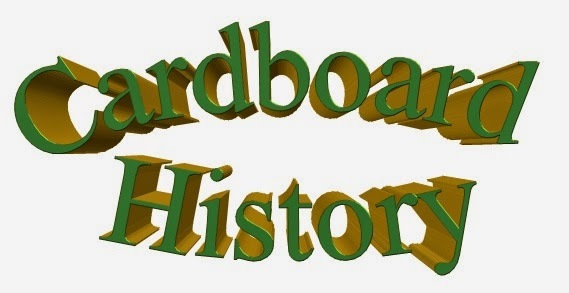 I have created a new section on my website, called "Box Breaks" I love to open boxes of cards, and I'm going to document them there. I have been opening boxes since 1990 and I won't be able to get all the old ones done, but I will be able to get some of them from my records, and any in the future can be documented there. So far all that is in it is the Chrome Perspectives Jedi vs. Sith set I did a box break on recently. There will be more shortly, as I'm going to upload more as soon as I hit post on this post. Since it is my 100th post, let's do a small giveaway. 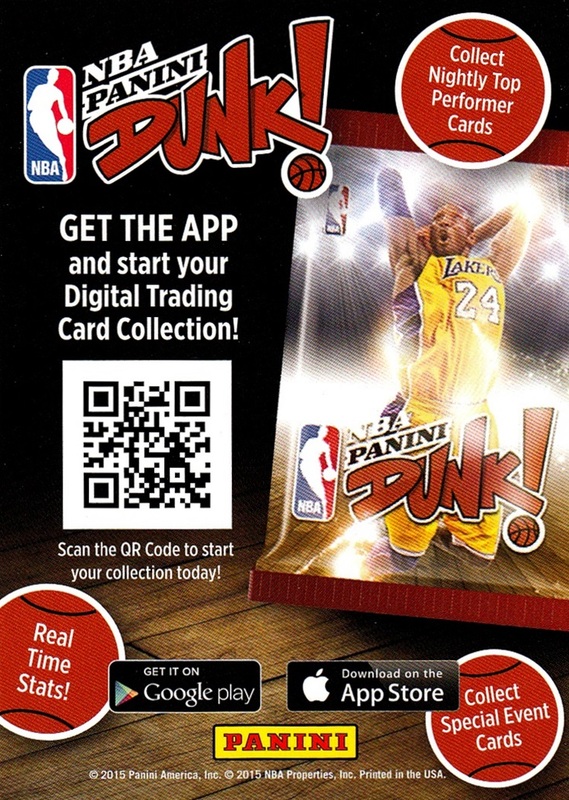 Comment on this post for a chance to win a small padded mailer full of NBA cards, taken from my duplicate stash that's not yet posted onto my tradelist on the Database. Will be a mixture of things ranging in age from early 1990s to 2014-15. Simply comment to enter. I will use random.org to pick the winner's number and I will let that winner know so they can get me their address. You have until Thursday night to enter. I can only mail on Saturdays since our Jeep is essentially dead, have to borrow a car to get to the post office. Open to all- I will ship internationally - and following the blog is not necessary but would be appreciated. And now, the anniversary. I realized today that this past Sunday, my birthday, was the 10 year anniversary of when my brother gave me my first scanner! That was the best one I ever had, but my new computer does not recognize it. I can still use it, but it involves getting my old computer out, which barely works at all. I basically save it for when I have to scan slides and negatives, which neither of my other two scanners can do. The very first thing I scanned with my first scanner was in fact a card...however, I had it too close to the edge and cut part of it off. You can see how I cut the point off the card. I had to rescan it, shown below. The second version of the scan had it's colors overadjusted. I hadn't quite gotten it perfect yet when I did the majority of my NASCAR collection. The reason this became Scan #1? It was simply on top of the pile of cards that I had just gotten recently...possibly earlier that day, I no longer remember, and don't feel like getting my collection book out to check (lol). I have no idea how many scans I've made since then...I know by time my first computer (mostly) died it was over 20,000 and I have not slowed down over the past two computers...I average about 15-25 a day! Today is my birthday. My family makes a bigger deal out of it than I do to be honest, especially after I almost didn't have anymore back in 2013. (I turned 31 today, in case you are wondering). I always ask for cards, and usually nothing but cards. (This year I asked for some specific comics but didn't get any- I'll be getting them myself next month). My brother didn't get me cards, but he gave me something I have needed for a long time. A 2TB external hard drive. As I've already filled up 16 or so flash drives with my photography I REALLY needed one, and will begin exploring that after I hit publish on this post. I have been talking about getting one of these for over a year but I could never bring myself to spend the money on it when there were cards staring at me on the shelf. And the cards, I got cards. Mom gave me nothing but cards, and I'm going to show some highlights now.. 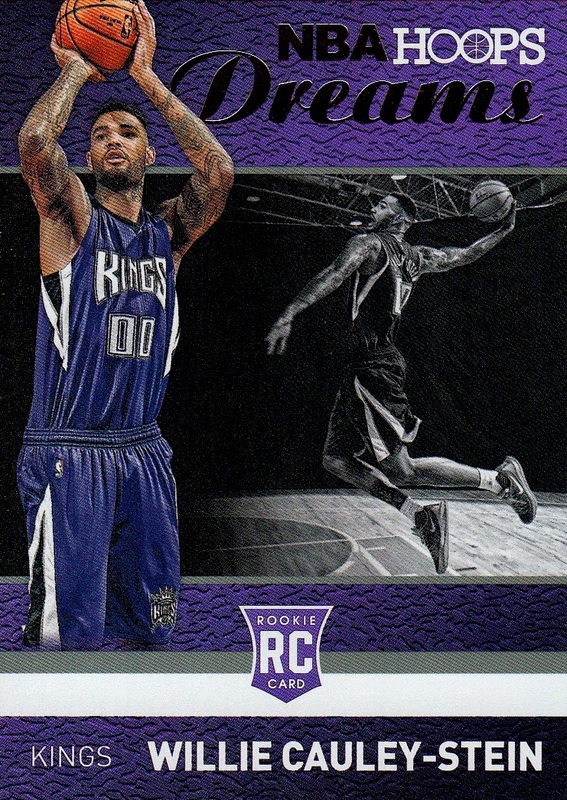 I'm just going to jump to the major milestone I mentioned in the last post- I knew I would hit 80,000 different NBA cards today. I sure did- I now stand at 80,025. It took me 19 years and 9 months to reach this milestone. My birthday was not solely NBA...I know lately my posts have been more NBA-centric than anything else, but the NBA takes up literally 85% of my collection, so I have the most to post about. With no new NASCAR cards since last December also not helping. But there are lots of older NASCAR cards I don't have yet, and Mom got me an autograph, a relic, and an autographed relic, which scanned MUCH better than I expected it to! 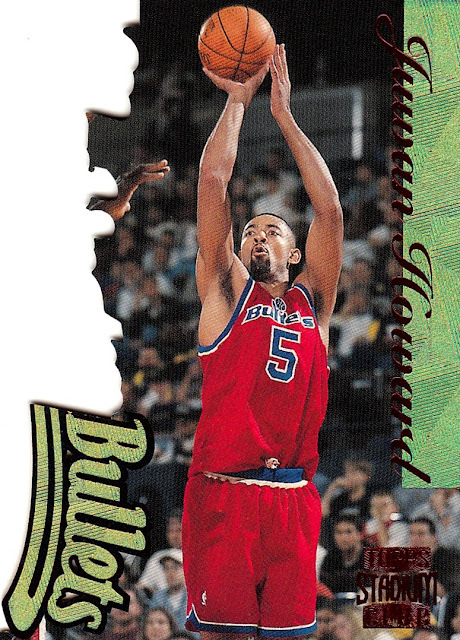 Normally my scanner cannot handle any sort of depth, and Press Pass put the relics deep down into very thick cards. This time, my scanner picked it up perfectly. I don't get it, but I'm thrilled I don't have to use my other scanner than can do depth, but is badly damaged and means I have to practically recreate the scan. Off the top of my head this is only my 5th autographed relic for NASCAR. It's on-card, as well. They are almost as thick as a relic, and the front of the card is truly a piece of wood. I only had two before today, from my single blaster I got when the set first came out. 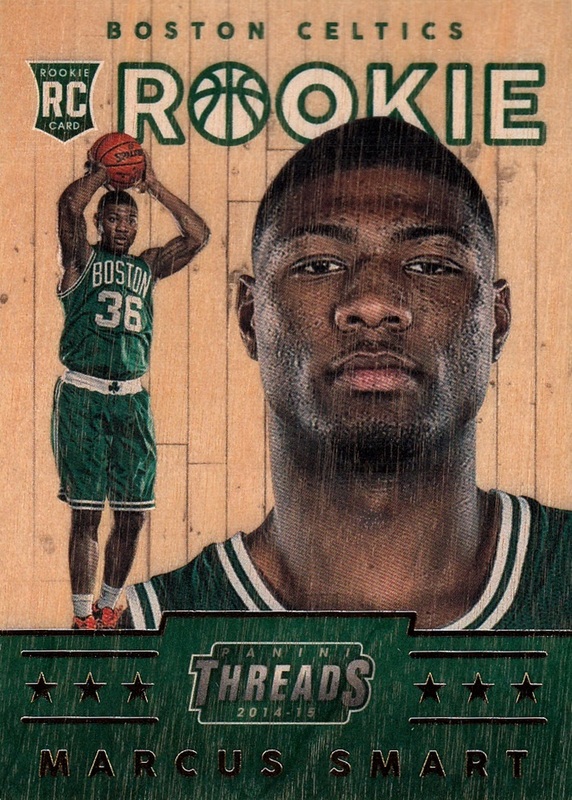 Another cool card from Threads is the Team Threads cards. These are a hallmark of the Panini Threads brand, and they are pretty much the same from year to year- why mess with success? 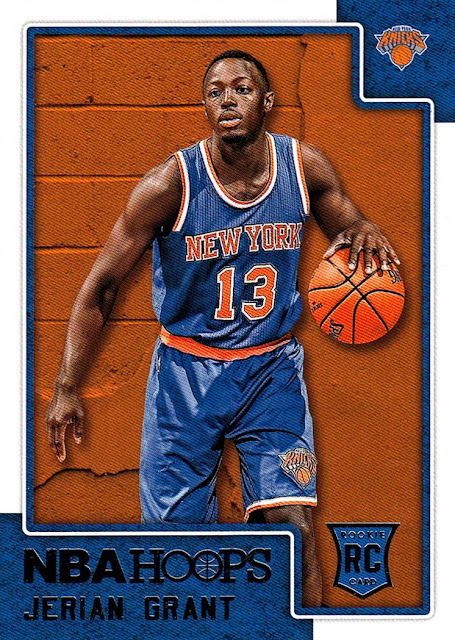 This year, the Rookie cards in this style are part of the base set, which is a first. 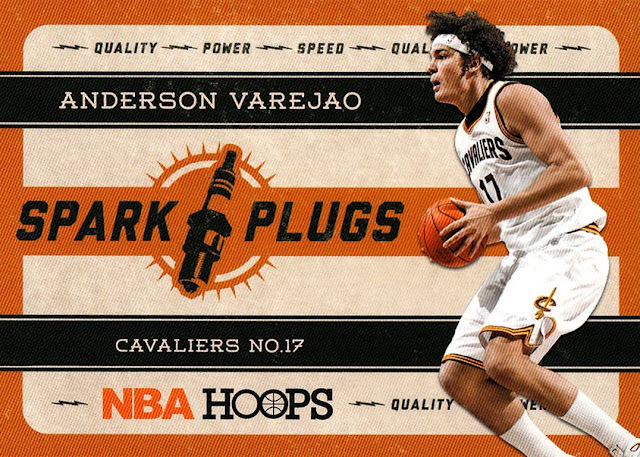 I got Aaron Gordon from this blaster. It's only my second from the subset. I really hope Panini does the Threads set again in 2015-16. They took 2013-14 off from the set, and I hope they don't again. 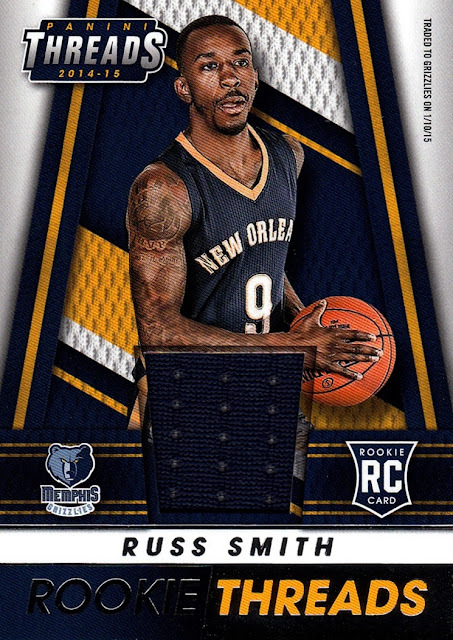 The relic from my blaster was Russ Smith. Russ was traded to the Memphis Grizzlies after the card was issued, but the jersey piece is from the New Orleans Pelicans- my very first jersey piece from the Pelicans! I now have a relic from every team in the league under their current name except the Charlotte Hornets, which used to be the Bobcats. (I have relics from the first Hornets, which are now...the Pelicans!) Every year there is always one rookie I get more cards of than any other- and even though I can't get as many cards as I once did, Russ Smith is still that one from 2014-15. 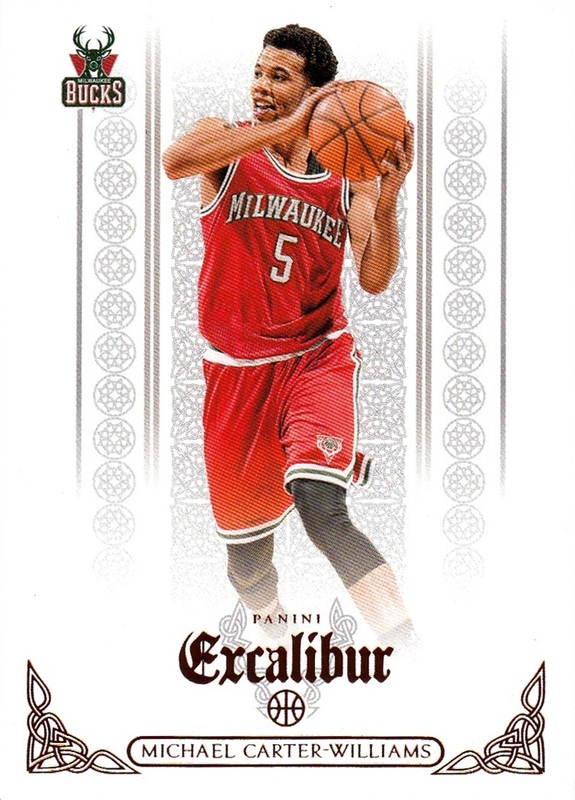 I also got a blaster of 2014-15 Excalibur. I really didn't like this set when I first saw it, but it's really grown on me. It's so easy to scan, it includes action shots from the season it was issued in, and it included a bunch of players who I didn't have in my collection- and I got two of them today! I also got my first Michael Carter-Williams on the Bucks card. Excalibur is the only set that includes images post-trade deadline. I am a fan of MCW. 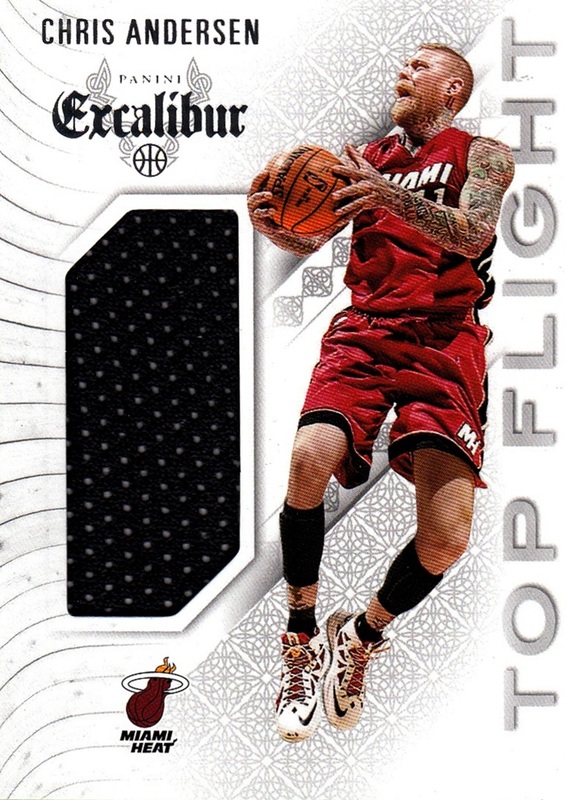 My relic from the box...happened to be Chris Andersen. One of my least favorite players in the league. Still, I want to collect as many cards as possible, and that includes people I'm not huge fans of. I'm still happy to have it, as it's not a duplicate. But the scan, though...I don't get it. 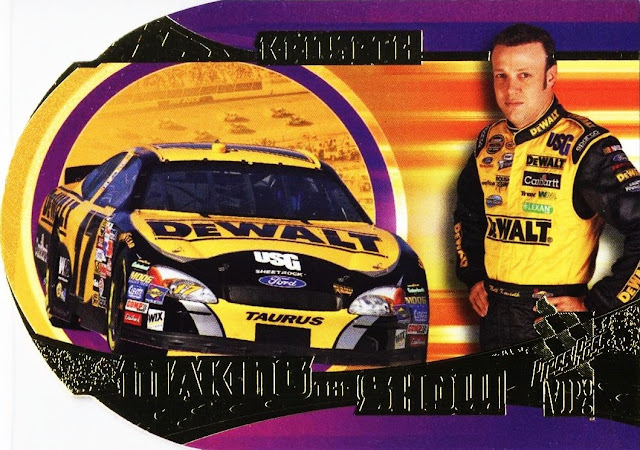 There is not a lot of depth to this card, yet my scanner blurred the relic. I don't know how to explain that. 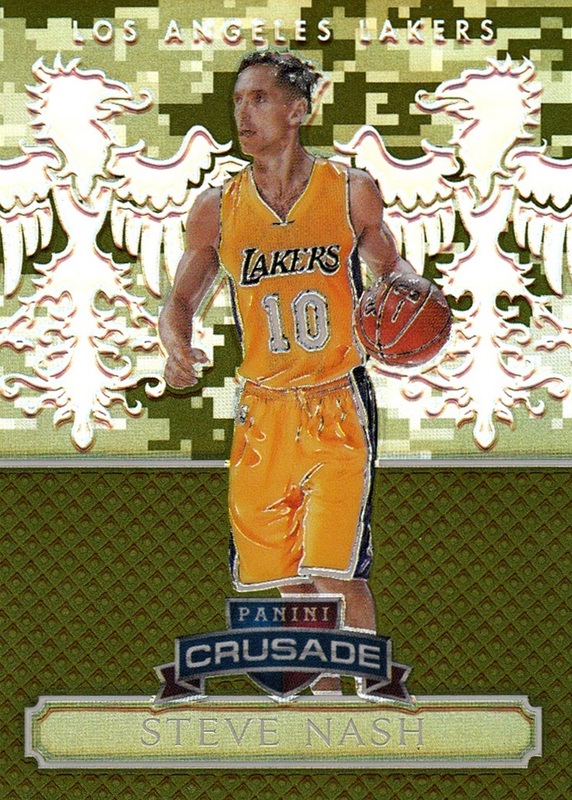 I finally got a good scan of the Crusade insert! I have 7 of them now, three each from two blasters and one from a single pack, but the first 4 didn't scan well at all. Today, they did. I've always loved the refractor Prizm technology, and am glad every time I pull one, or three. 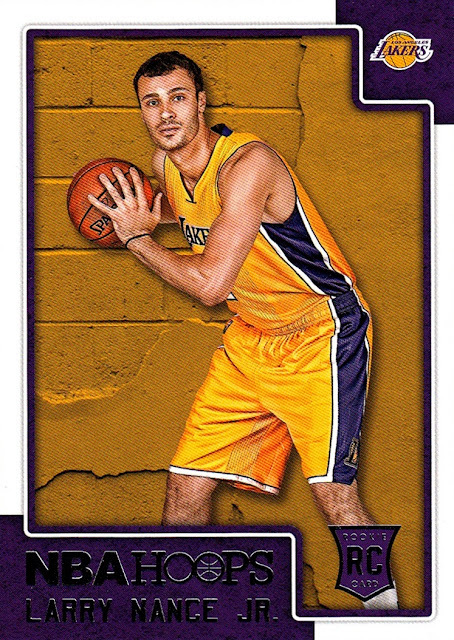 Nash is my least favorite of the three players I got today, but scanned the best. 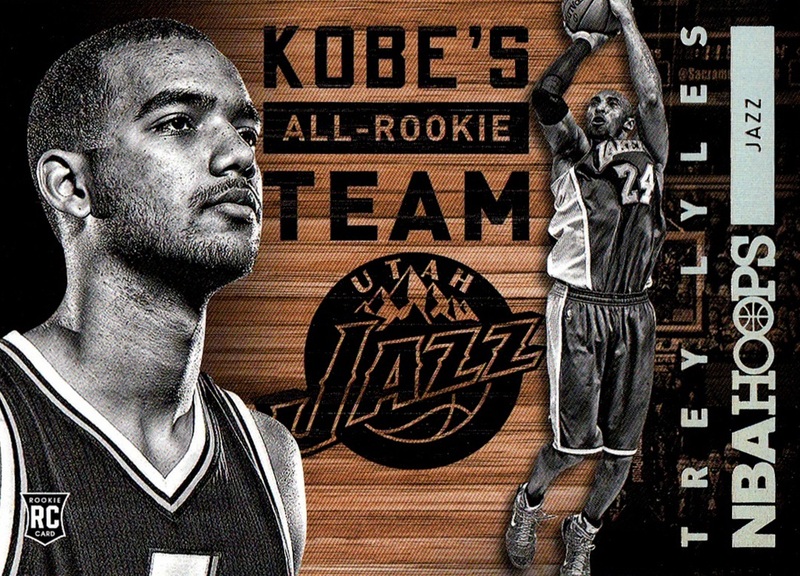 (The others are Tim Duncan and Taj Gibson). I can't let it go without saying how it irked me that Panini included Nash- who had retired by time the set was issued, the only retired player in the base set- yet refused to include Elton Brand in the last two YEARS worth of sets. Overall, I got 56 new NBA cards, and 3 new NASCAR- although to be honest Mom couldn't wait and gave me the Nemechek auto on Friday :) I also opened a couple of packs of my stash of Journey to the Force Awakens but I have not scanned any of them yet. I have had an excellent birthday so far, and it's not over yet. I also got a record number of birthday wishes on Facebook- last I checked, before I started typing this post, I was at 237...and this post took a very long time because my internet connection keeps going out every two to four minutes or so, causing me to fight with it and try to get it back again- which has taken a lot of fun out of posting. We also had some snow, which is the second earliest I can recall!